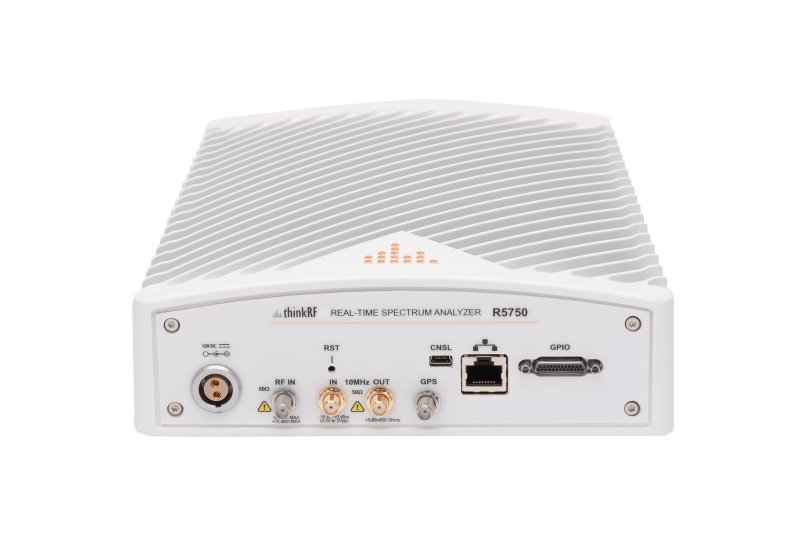 The ThinkRF R5750 Real-Time Spectrum Analyzer with GPS is built for mobile wireless situational awareness applications such as drive testing, coverage mapping, propagation analysis, direction finding & transmitter localization and vehicle based spectrum monitoring. With built in GPS capabilities, the R5750 analyzer enables engineers in the field to conduct in-depth analysis of complex waveforms while knowing the location and time of each measurement. 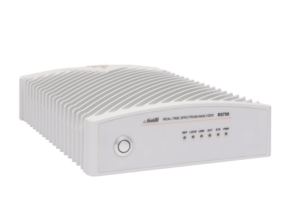 Beautifully designed to be sleek, lightweight, and fanless, the R5750 analyzer provides improved spectrum performance, lower power consumption, and increased portability for outdoor and mobile deployments. Optional IP66 rating offers increased durability and ruggedness for difficult environments. 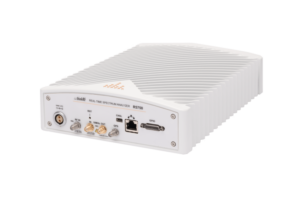 Beautifully designed to be sleek, lightweight, and silent, the R5750 analyzer with GPS provides an alternative to bulky, outdated hardware that has traditionally been available to users. With an emphasis on quality, design, and usability, ThinkRF has set a new standard for spectrum analysis equipment. Underpinning all mobile wireless situational awareness applications is the ability to know the location and time of measurements. The R5750 analyzer with GPS synchronizes positional and temporal information with signal information to provide you with a complete map of the signal environment. Measuring just 10.13 x 7.63 x 2.36 inches and weighing less than 6 pounds, the R5750 analyzer is the ultimate portable solution. The ThinkRF R5750 is compact, lightweight, and low-powered, making it perfect for remote and distributed deployment or use in vehicles such as trucks, cars, military vehicles, UAVs, or boats. 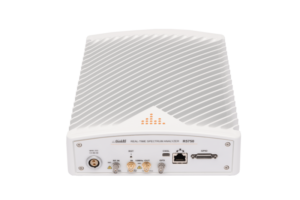 Featuring 27 GHz frequency range, up to 100 MHz IBW, and 28 GHz/s stream rates, the ThinkRF R5750 provides the best price-performance ratio on the market and the coverage required to analyze today’s complex, dense, and dispersed wireless signal environment.